It has opened Japanese tea cafe "Tea Space LASALA" in order to have enjoyed a cup of tea culture in Japan a lot of people. 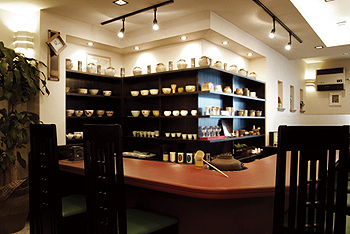 Our Korai Direct Shop is located in company's foundation place with its original appearance, handling all kinds of Shimodozono's premium tea products. "SHIMODOZONO CHAHO" was opened in front of Kagoshima Chuo Station in 2012. 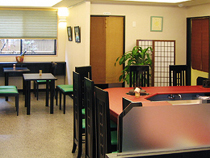 We will provide you with suggestions and a new style of Japanese tea, sweets and food congenial to tea. Located in a street behind main boulvard, relaxing atmosphere gives you an enjoyable time with premium green tea and sweets. In the high ceiling relaxing space, you can enjoy Japanese green tea and traditional sweets. It's a Japanese tea cafe of the new sense in front of Kagoshima Chuo Station. Menu full of a sense of the seasons is attractive. Copyright (C) Shimodozono Co., Ltd. All Rights Reserved.